Facebook Home is officially here, but unfortunately the app is not available to users outside of the U.S. and is supported by only a select few devices, including the Samsung GALAXY S4, GALAXY S3, HTC One, HTC One X, HTC One X+ and GALAXY Note II. If the phone you have isn’t supporting the newly released Facebook launcher for Android, have no fear as you can install and run Facebook Home on unsupported android devices as well and the workaround is insanely easy. There are two methods available right now to get Facebook Home to work on unsupported android devices. One method requires a rooted device, and the other one installs the app without the requirement of root. Disclaimer: This tutorial requires modifying system files and installing patched apps which could result in device malfunction or loss of data if not done correctly. We are not responsible in case of any data loss or firmware issues caused by following this tutorial. Do it at your own risk! Let’s take a look at the first method that requires a rooted device. 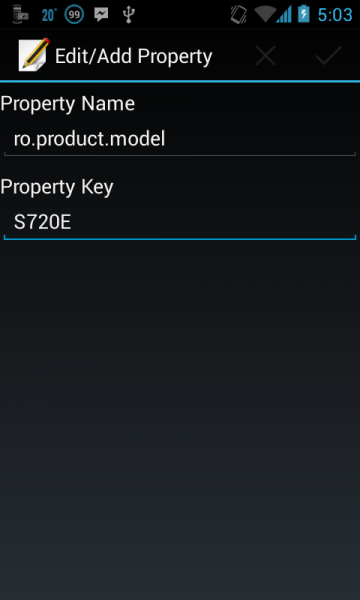 You will require a rooted device running Android 4.0 or above and a root enabled file explorer such as ES File Explorer (available on Google Play Store for free). Also before installing, make sure you have “unknown sources” enabled under Settings > Security on your device. 1. First, it is always recommended that you do a Nandroid backup of your device before modifying any system file. 2. Download “build.prop Editor” from Google Play Store or you could use any other root enabled file explorer to browse to the /system folder and modify the “build.prop” file. 3. Launch “build.prop Editor” and make a backup of the file by either taping the menu button in the top-right corner and selecting the “backup” option in the drop down menu or by hitting the menu key on your device and selecting that option. The above changes will fool the Google Play Store into thinking you are using the HTC One X and will allow you to install Facebook Home on your device. Alternatively, you can also put the brand and manufacturer value as Samsung and the model value as SPH-L710 or GT-N7100, which will make the Play Store think you are using the Samsung GALAXY SIII or GALAXY Note II, respectively. Note: If you have Facebook Home app installed already at this point, you would have to uninstall it and reboot your device. 5. Now download the Facebook Home app from the Google Play Store and install it. Note: If you are living outside of the U.S., you could download the APK from here and then transfer the APK you just downloaded to your SD Card and install it using a file explorer of your own choice. That’s it folks. It wasn’t that hard, was it? Now all you have to do is log in to your Facebook account and enjoy the Facebook Home launcher. As promised, here’s the second method that doesn’t require root to get Facebook Home to work. Uninstall any existing copy of Facebook and Facebook Home you have installed on your device. Also before installing, make sure you have “unknown sources” enabled under Settings > Security on your device. 2. Extract the Facebook and Facebook Home APK files from the compressed zip file and transfer them and the messenger APK to your SD Card. 3. Install the APK files you just transferred to your device using a file explorer of your own choice such as ES File Explorer. 5. Now log in to your Facebook account and run the newly installed Facebook Home launcher. If you still don’t see the Facebook Home, go to “Setting” on Facebook and enable Facebook Home. You can also use the Header on Facebook to complete Facebook Home setup.